Produced and Presented by Ann Bateson. Home Madrid News Is This The New Real Madrid Playing Shirt? 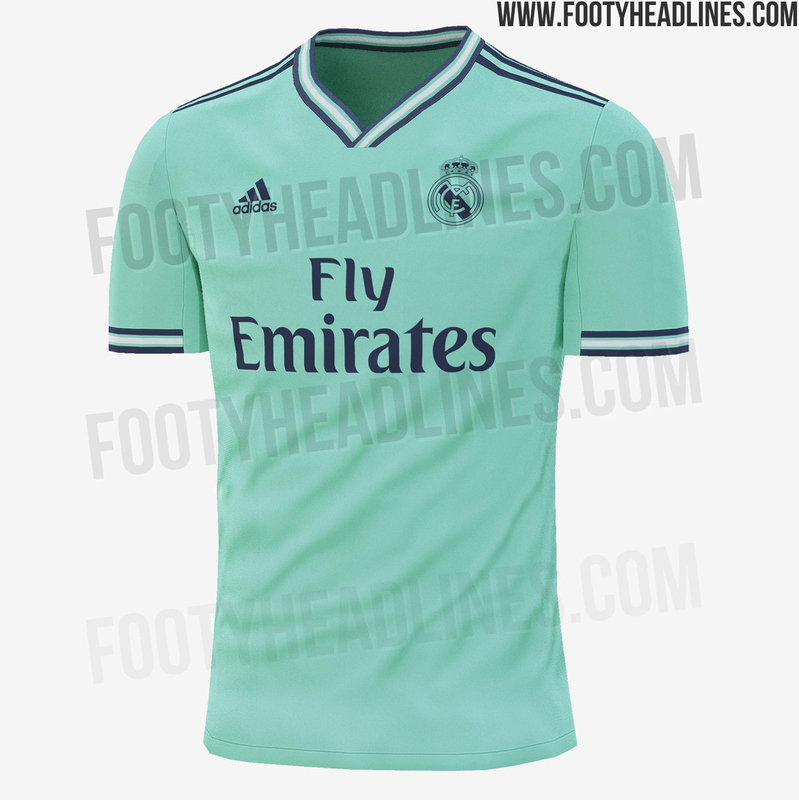 Is This The New Real Madrid Playing Shirt? The third kit of Real Madrid is mint green. 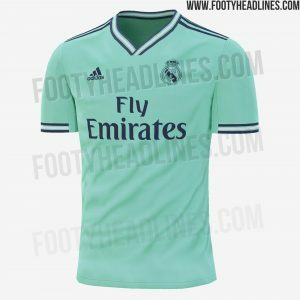 Real Madrid’s striking mint-green third kit for next season has seemingly been leaked online. Website FootyHeadlines leaked photos of the possible third kit design which they say is based on templates Adidas will use for other clubs including Manchester United. The leaked kit suggests the Spanish giants are changing their red third kit for a mint green number for the 2019-2020 campaign. The leaked kit features a V-neck design with a blue and white trim. The trim, which features two bands of navy blue either side of a white band, runs around the collar and also features at the ends of the short sleeves. The club’s badge, as well as the kit provider Adidas’ logo and the name of sponsor Fly Emirates also appear in navy blue. The three stripes of Adidas also appear in navy blue and run down from the collar to the ends of the sleeves. FootyHeadlines say the shirt is inspired by designs from the 1990s. Madrid’s current third kit is currently all red. A third kit is what a sports team wears in matches instead of its home or away kits when the colours of the two competing teams’ are too similar.